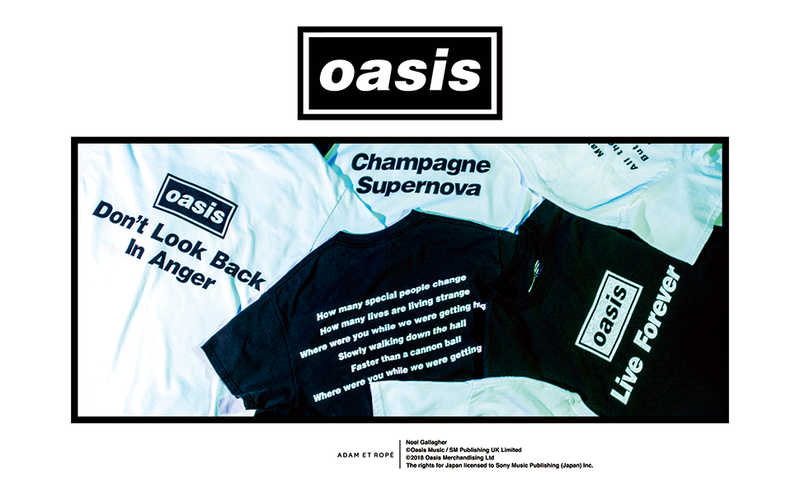 With the 25th Anniversary of the release of Oasis’s album, Definitely Maybe, Japanese fashion house, ADAM ET ROPÉ is releasing lyrics T-shirt of 4 of Oasis’ popular songs . Featuring Don’t Look Back in Anger, Champagne Supernova, Supersonic, and Live Forever. Comes in black or white, and for men and ladies. Available in limited numbers, these t-shirts will start selling in Tsutaya and Tower Records shops all over Japan on the 29th of May. However, you can order them now from Jun’s Online! Remember that they only ship within Japan, and with purchase of at least one of these T-shirts, you’ll be able to get free domestic shipping. So sign up with us now to gain access of our Japan Warehouse. Remember, only actual weight charged, and our rate is RM10/lb from our warehouse to your door!